Original drink with natural flavours of orange, lemon and cinnamon with a special touch: bubbles! Ideal to enjoy at any moment during the day. A light and pleasant drink with refreshing natural flavours of orange, lemon and cinnamon. Its flavours are very lively thanks to its fine bubbles. It is ideal to consume by itself or as a complement to simple snacks, pickles or appetisers. A perfect drink to share at parties and informal meetings. Served very cold and with no ice. Keep the bottle cold while serving. 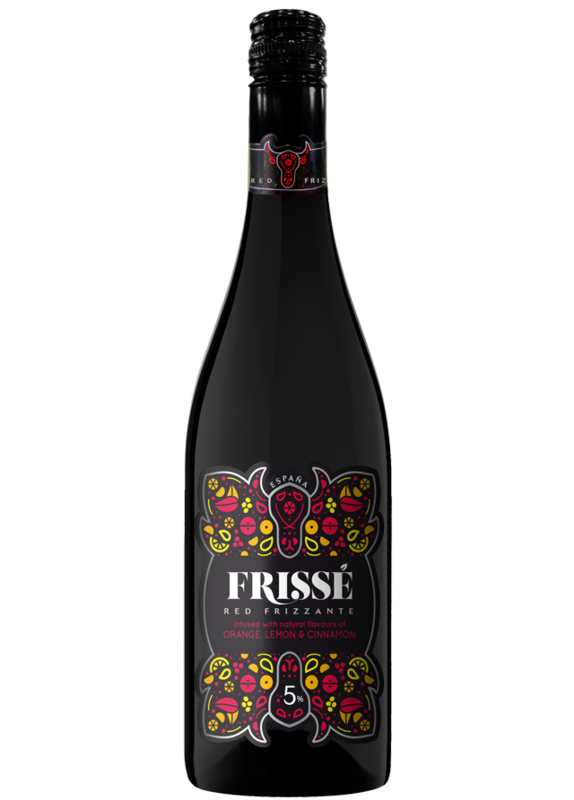 Frissé red is microfiltered to preserve its colour, aroma and flavour. Bubbles are added for a refreshing twist.